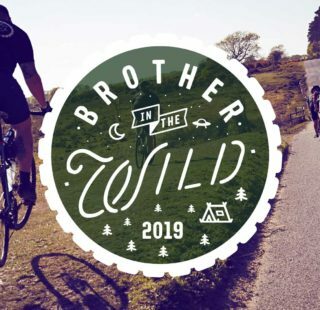 Dirty Boar 2018 - ADVNTR. Now in its second year, the Dirty Boar is the Belgian take on the dropped-bar, mixed terrain ride…and it’s a belter. 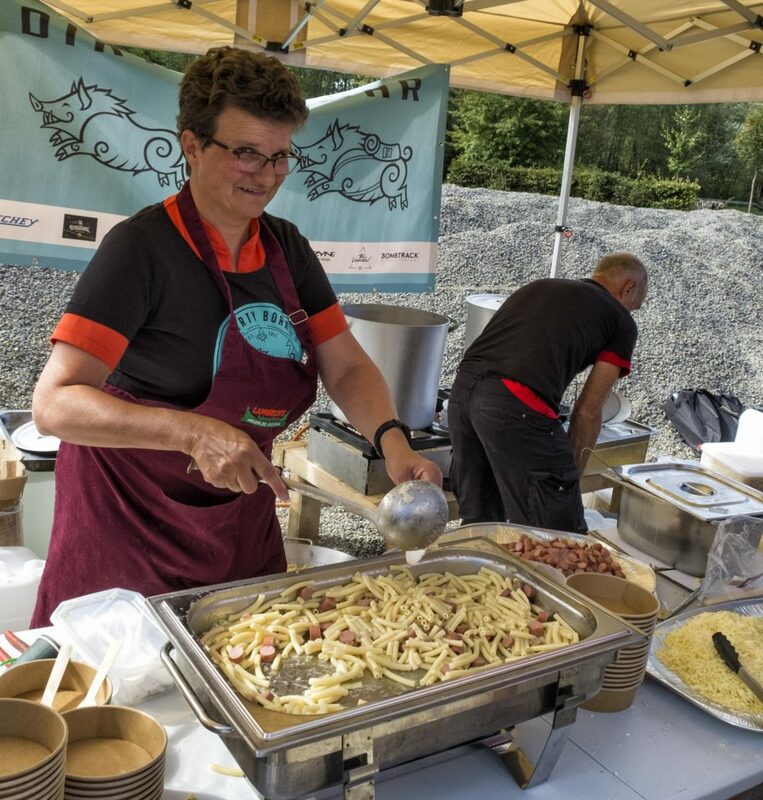 This year’s event took place on the 8th of September. Following a cold and misty start it quickly warmed up and we rode throughout the remainder of the day in brilliant sunshine. Stark contrast to last year’s event which took place in heavy rain. 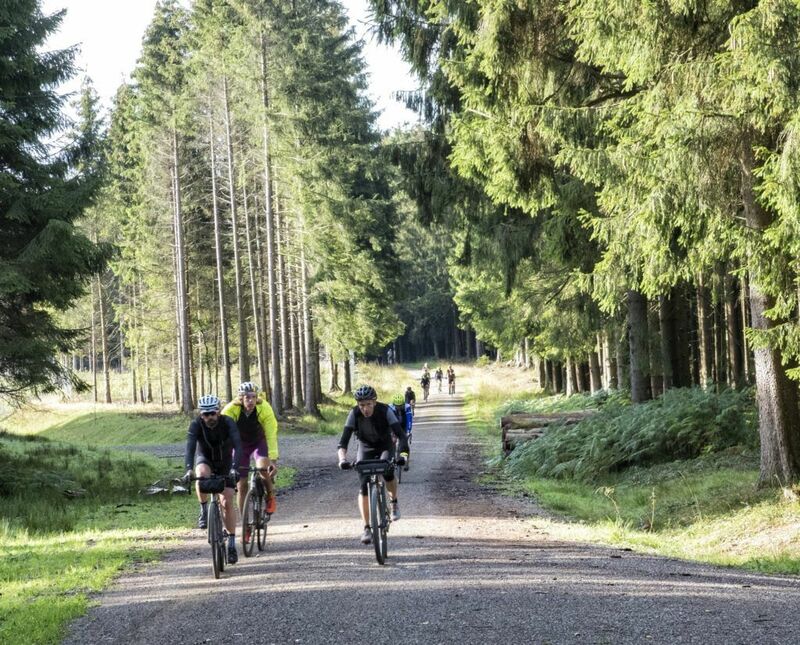 The Dirty Boar is a 165km gravel ride through the Ardennes Forest. 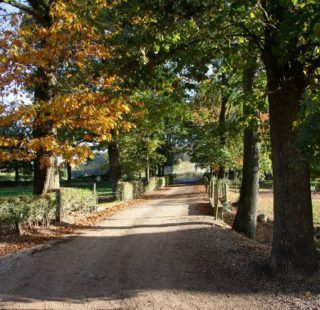 It crosses into Germany and consists of many kilometres of gravel roads, forest tracks and linking road sections. And not forgetting some great technical sections to keep you on your toes. You can’t mention the Dirty Boar, without drawing comparisons with Dirty Reiver . This is doing the Boar a disservice. The Dirty Boar is its own ride, and is all the better for it. 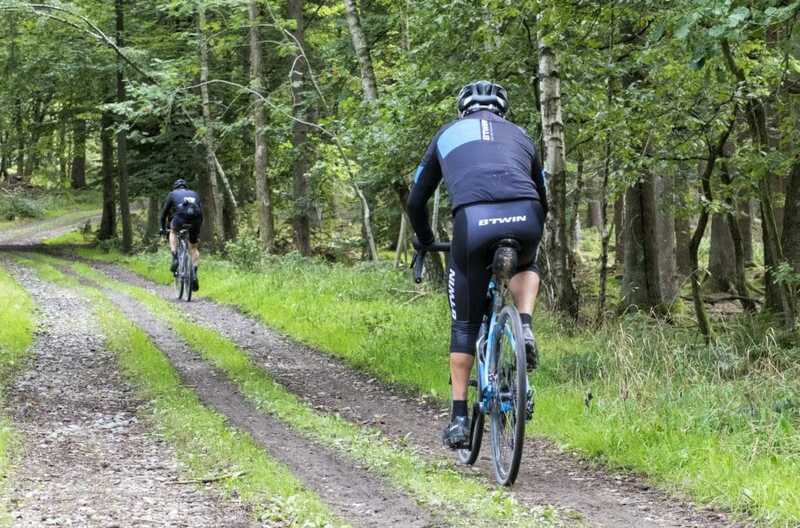 Whereas the Reiver takes you on a circuit of Kielder’s forest roads, the Boar takes in the best gravel in Belgium, and a small part of Germany, to deliver a fast-flowing ride. 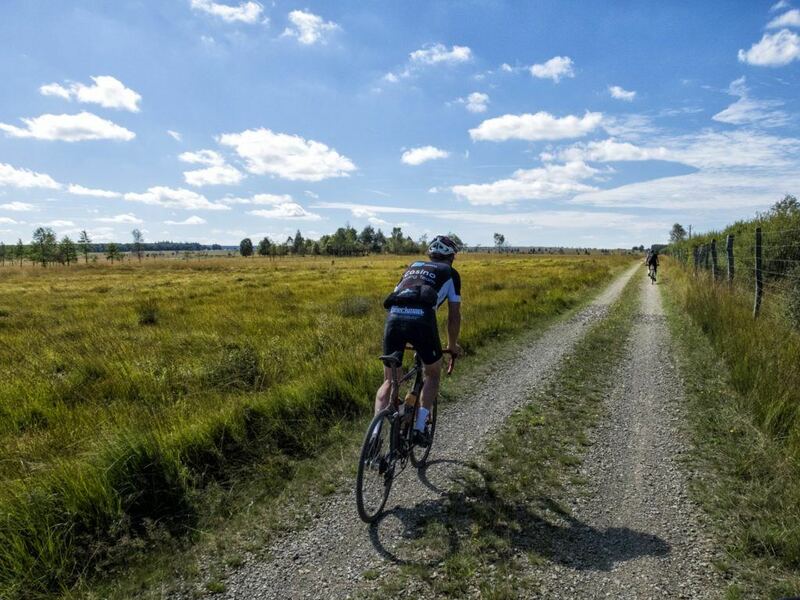 Ideally suited to today’s adventure bikes, the route takes you over fine, smooth gravel. This is is marked contract to the harsh, large, gravel found around Kielder. There was a really mixed bag of bikes on display. Given the popularity of cyclocross in Belgium, it was inevitable that this would be the most popular style of bike. 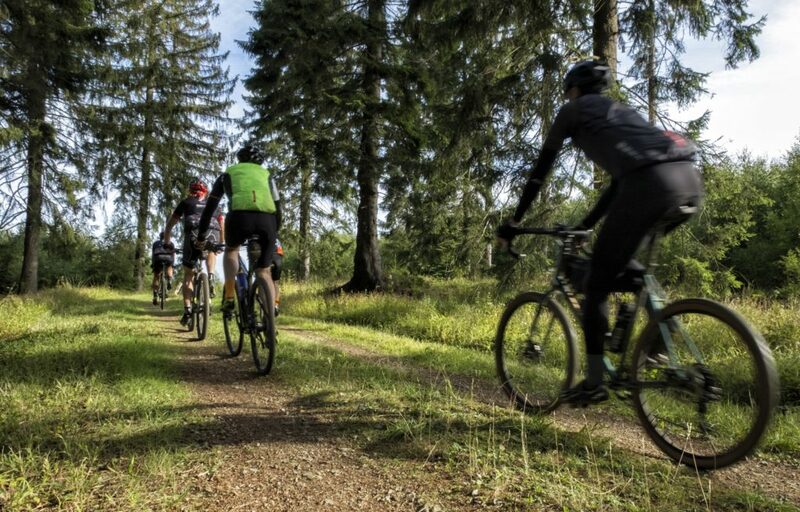 While some would argue that there is very little difference between a x-bike and a gravel bike they are missing a trick. 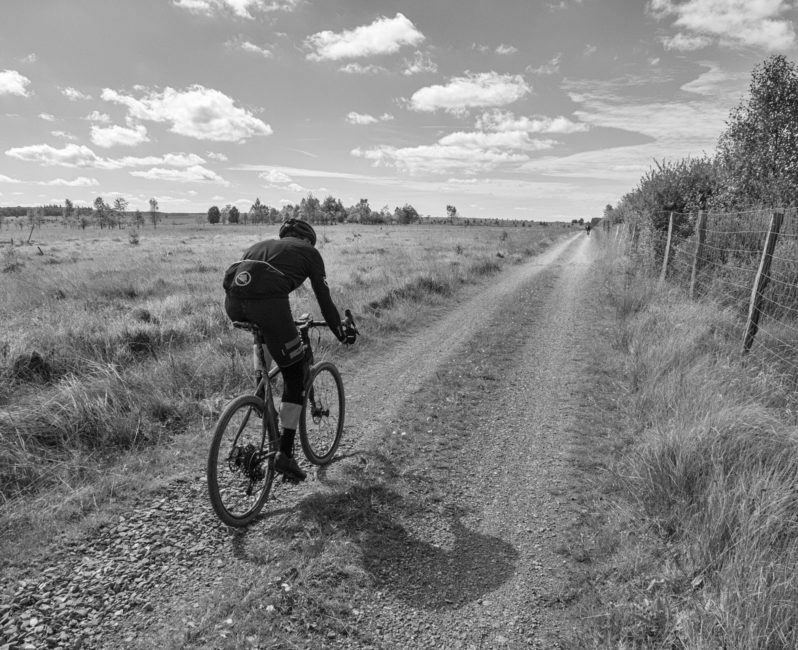 The gravel bike’s greater tyre clearance gives you a wider choice of tyre, and of course, more options to run tubeless. This was highlighted by the large number of riders I saw at the side of the trail replacing inner tubes, inevitably riding a cross-bike. Hardtail mountain bikes were also popular. Running narrow 1.9” tyres, they were generally ridden by racing snakes looking to get around as fast as possible. 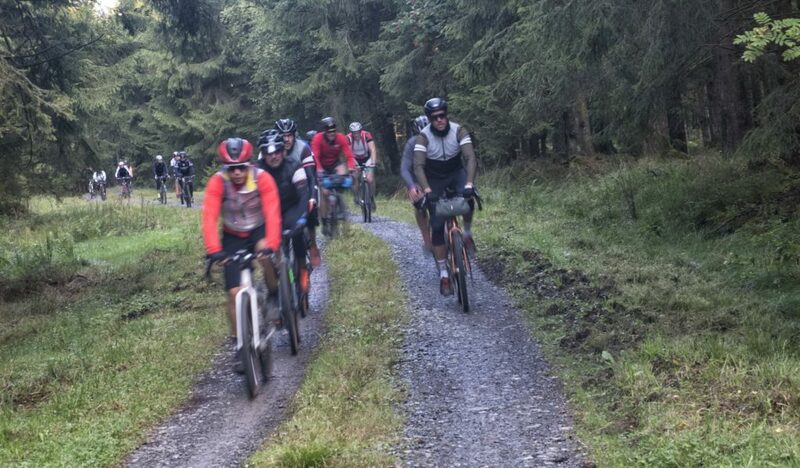 The gravel bike genre was well represented too with Bombtrack being a popular choice. I also spotted bikes from the likes of B-twin and less familiar brands (in the UK at least). Notably, there were a lot of 2018 Cannondale Slates making their way round too. I was definitely over-biked on my Salsa Cutthroat with fat 2.3” G-One tyres. It was the only one there and seemed to be causing some confusion as people tried to figure out where it fits into the fluid heirarchy of adventure/gravel bikes. 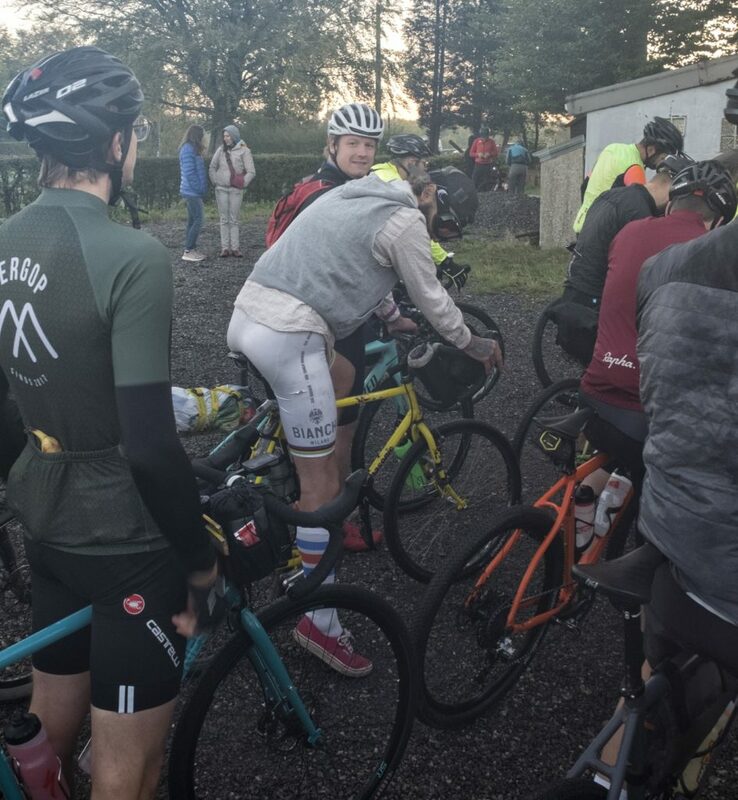 Following a quick rider briefing we set off into the low cloud in groups of 20 to 30 riders, and were quickly onto the forest trails. After a kilometre or so the trail narrowed and I hit a large back-log of riders stationary in front of me. I thought there might be some steep technical singletrack or other obstacle ahead. Nope! A puddle had brought the Boar to a standstill!!! About two metres wide and barely deep enough to cover your rims, riders were dismounting and walking around its edge…so much for the Belgian hard-man image portrayed by the spring classics riders of yesteryear. I was soon on my way again as a gap in front opened up and I was able to ride through. Well, two actually, the first being that Belgium is most definitely not flat! But the second was the beautiful upper fen lands, open heathland populated by the odd tree, the long grass and heather positively glowing in the early morning sun. This was certainly unexpected. While for the greater part the Ardennes is forest, the open stretches of heath were a wonderful surprise. It was difficult not to be taken in by the quality of the trails as we rode through the forest. The early morning sun coming through the rapidly clearing mist gave the forest almost an ethereal feel. As we approached the first road crossing the pace didn’t let up. In a sight that was soon to become familiar, there, in the middle of the road was a marshal, baton in hand stopping the traffic so that riders could cross. If nothing else, it illustrates the acceptance of cyclists on the Continent, unlike the UK where we’re seen as an annoyance. For those parts of the ride where we were on tarmac there were wide cycle paths that kept riders away from the road until the next off-road section. Feed station one was in Germany. It was difficult to say exactly where we left Belgium! The feed stop was well stocked with bananas, waffles, honey-waffles, sports bars and salted crackers. Following a quick feed and after topping up one of my drink bottles, it was time to head back into the forest. 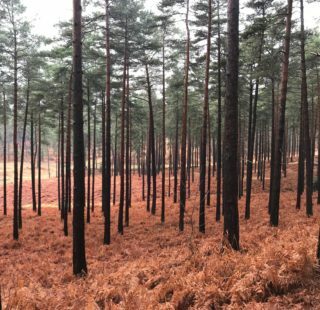 The Germans take their outdoor recreation very seriously, and as the wide trail dipped and climbed we were encouraged on our way by locals out walking and equally enjoying the forest. The forest climbs were long and not particularly steep, but they sapped your strength all the same. A tight single section across some fields saw us back in Belgium. With the promise of further climbing ahead, we dropped down a quiet country road to return to the forest. At this point the sun was well and truly up. The temperature had risen, so off came the arm warmers and gilet. Not a moment too soon as the long climb to feed station two began. 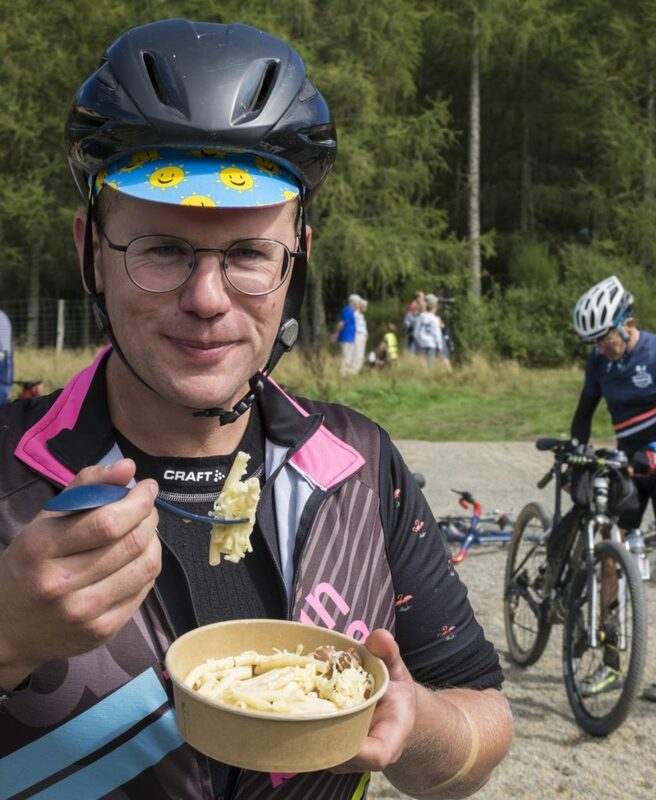 About this time, I hit that part of the ride where I needed some ‘proper’ food. Luckily, as well as the normal feed station fare, there were jam sandwiches! They really hit the spot! Leaving the feed stop, a swift descent on an access road saw us cross a wide dam. Then we got back to about 30 kilometres of climbing thankful of the tree cover which gave us some protection from the sun. Eventually, we made it to the third and final feed stop. While not entirely necessary, I couldn’t resist the macaroni cheese and sausage, washed down with hot coffee. The Dirty Boar Spork in our registration pack made sense now! The final stage provided a change to what had gone before. While we initially followed the now familiar forest trails, it rapidly morphed into a washed out cutting leading to a road crossing. It was great fun, and continued with a short, but steep drop from the road side back onto the neighbouring trail. The final 10 kilometres was made up of swift descents and technical climbing, with three river crossings to keeping you on your toes. It was all over far too soon. After a final steep climb back to the finish, I rolled over the line tired, but immensely satisfied with the days riding. This is not a timed event. It is all about having a good day out. If you want a ride time, you have to rely on your GPS. But that would miss the point of the Dirty Boar! On returning your transponder you are given a token for a large portion of chips and mayo or, if you are a heathen, ketchup, in addition to a bottle of very tasty La Redoutable beer. At 9% you can certainly feel it. Should you make the effort to ride the Dirty Boar? It wasn’t without issue. The course markers were sometimes difficult to spot due to their size. Sometimes they were even positioned after the turning! But, these are minor points that can easily be remedied. Should you put it in your calendar for next year? Absolutely! 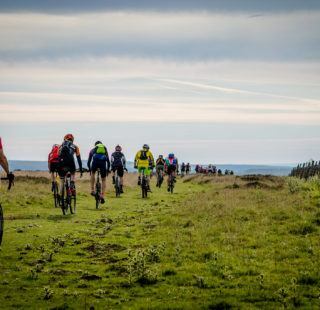 We enjoyed a great route along some fabulous trails that seemed custom made for having fun on a gravel bike.Everyone involved from riders to volunteers and marshals were a great bunch. 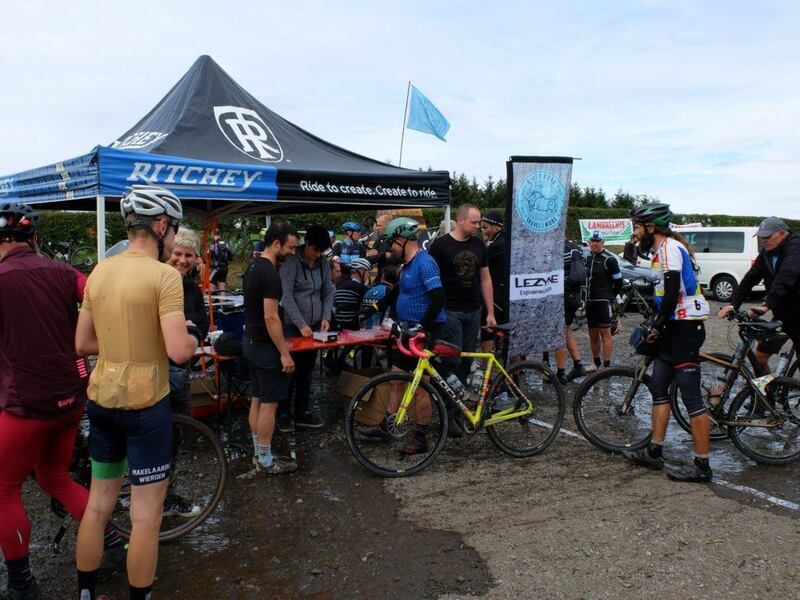 Get in quick though, Dirty Boar is limited to 500 riders and is bound to sell out quickly! Follow the Boar: Dirty Boar website. Words & Photos: The Cheshire Cat.